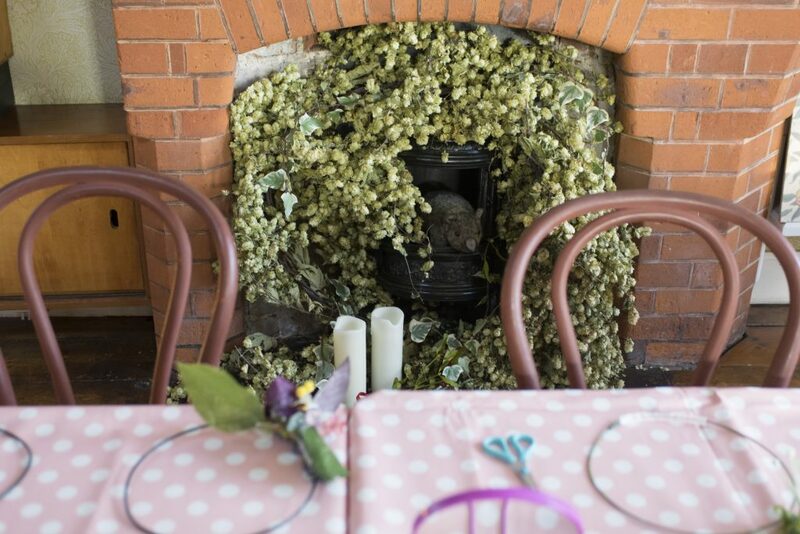 When the team at The Red House called up to discuss their corporate event ideas we were in our element. The Red House was built by William Morris – the King of Craft! We work on our corporate event ideas with our clients in mind. 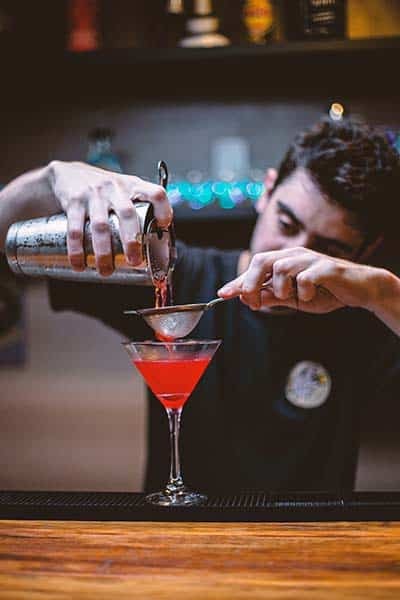 We come up with the perfect creative event for the client and the space they are hosting in. 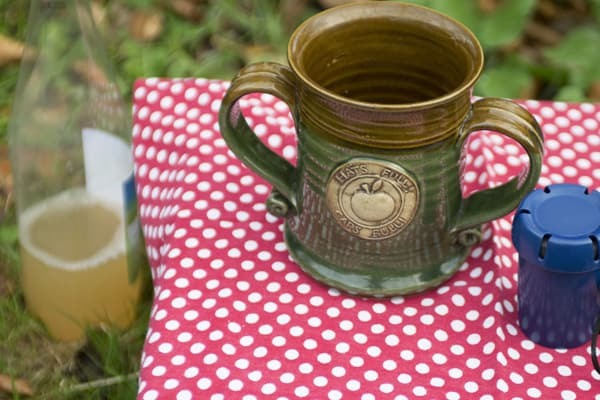 The team at The Red House were hosting a Wassail festival. The whole house was open to their clients and they also planned a Wassail procession around the orchard making as much noise as possible to scare away the evil spirits, and give the apple trees a glug of cider to encourage a year of good growth. Clients would then be invited to finish off with a hot mulled cider and mince pies in the café. The Red House team required a rolling workshop for 50 people which would be completed in 2 hours. 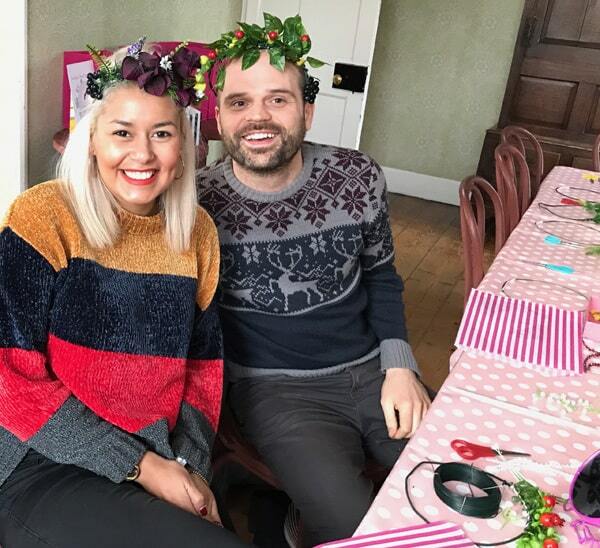 We set up a table to fit 20 people at a time and designed the flower crown workshop to take 20 minutes. The Glam Hatter Girls arrived an hour previous to the event on a freezing December morning and were welcomed by the staff and volunteers at The red House. We quickly got to work setting up the room ready for the visitors. That way people could pop themselves down as and when they wanted to. 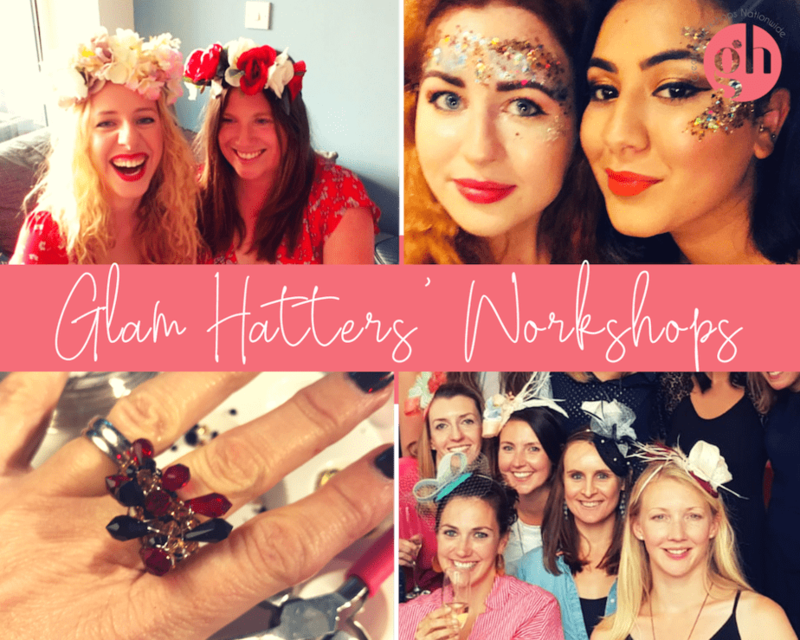 We provided three Glam Hatter Teachers to help customers make their half crowns and keep everyone on track time wise. 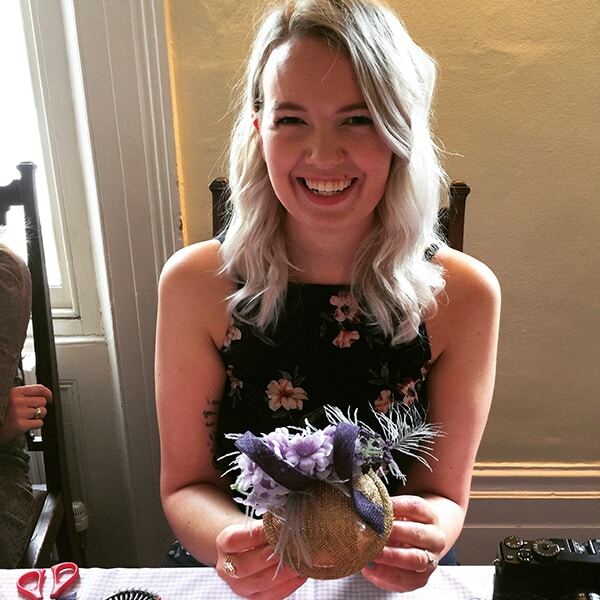 We had lots of materials to choose from and had pre-made the circle crowns so that the attendees could easily decorate them. 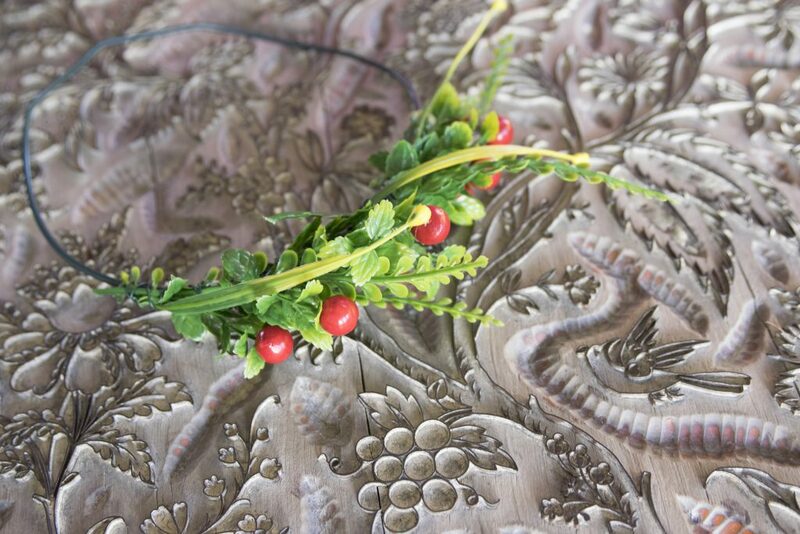 Using soft green, pliable wire, the attendees wrapped on faux berries, leaves, holly and all things Christmassy. 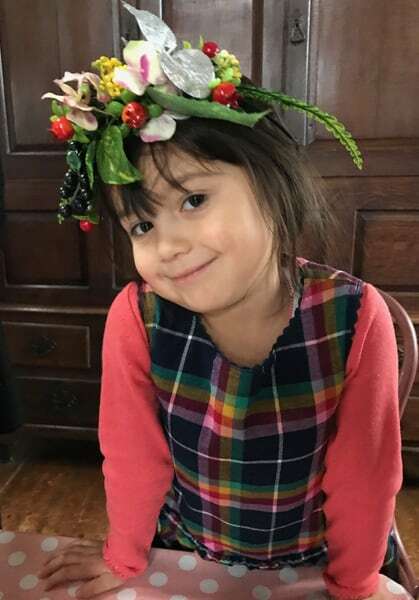 They made beautiful winter flower crowns and then wore the crowns for the Wassail procession around the orchard. 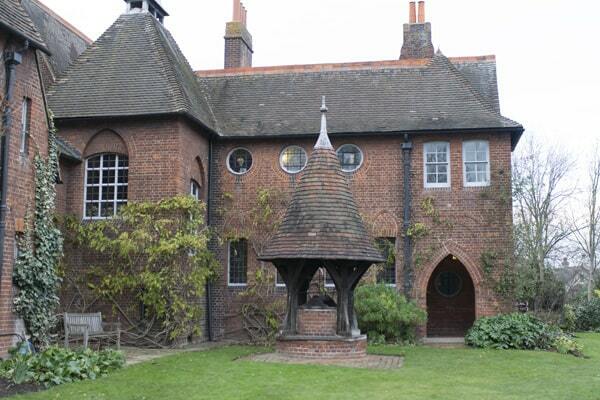 The Red House is a beautiful building which William Morris designed and lived in. It is absolutely incredible in terms of craft on display. It also has a super cute little cafe (fabulous cakes!) and a fab shop, ideal for Xmas gift shopping. Choose from William Morris print bags, cosy wool blankets (which make very chic scarves), and very stylish stationary. 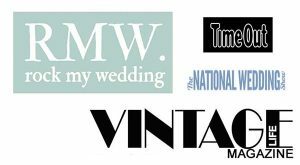 Glam Hatters’ Events has run corporate events for law firms, galleries (including The National Gallery), retailers and events companies. 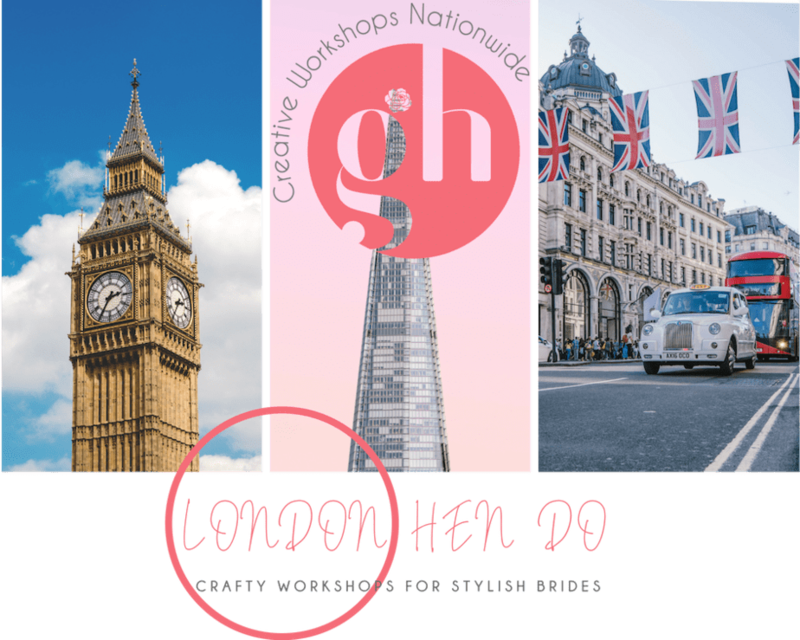 We have lots of experience in this field and would love to come up with a bespoke workshop for your event. Call us for details and help with planning your corporate event. 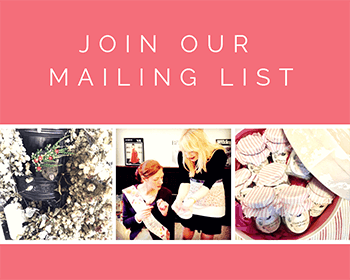 Contact Janie Lawson Gluckstein on the form below. Or call on the number above! 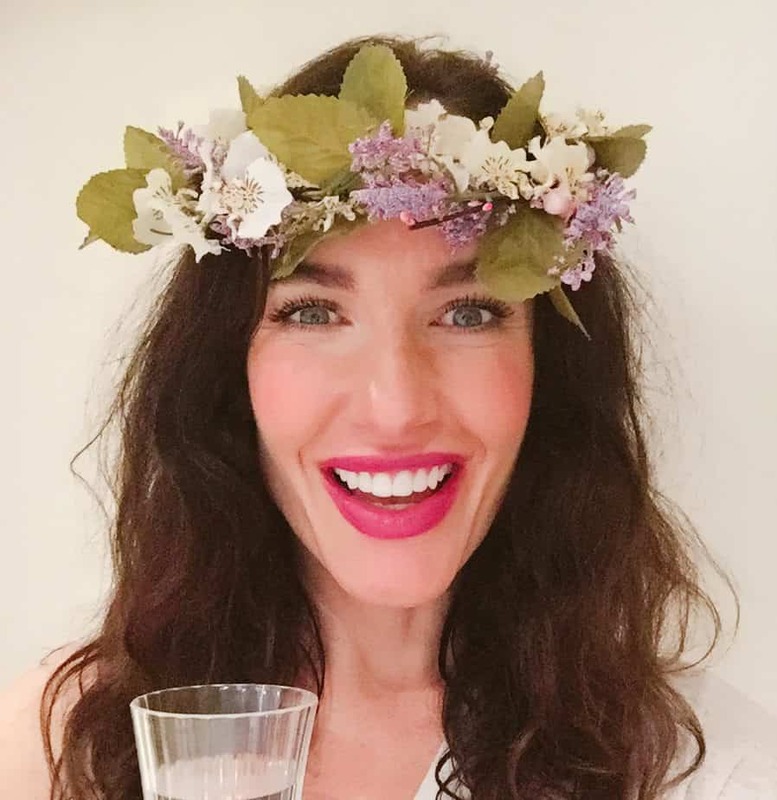 When I think of a Boho Bride I picture bare feet, sand, simple Flowing dresses, woodland fairies and of course, Flower crowns. 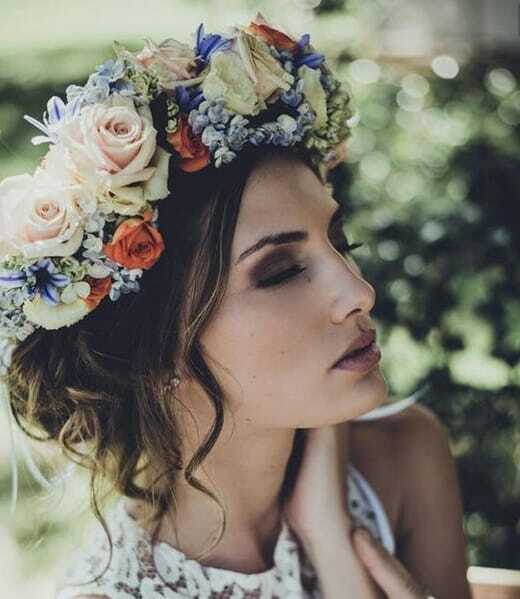 Pinterest is heaving with images of the perfect boho bride and I find myself completely enchanted by them. Oh to be a boho bride, how simple and free! However ladies, I have to tell you these looks take work! 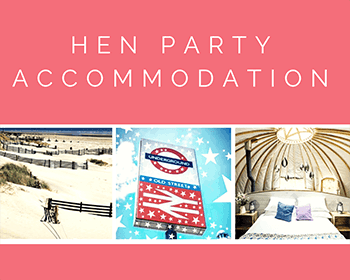 It is not a case of rolling out of your patchwork quilt, stumbling through your camper van door and floating down an ancient woven carpet to meet your man at your flower encrusted teepee to say your vows. No ladies these things take planning – a lot of planning! 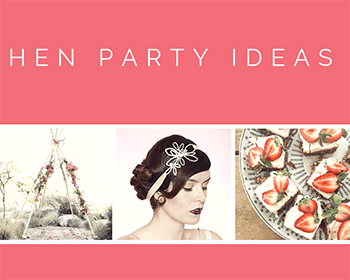 Boho Bride Tip Number 1. 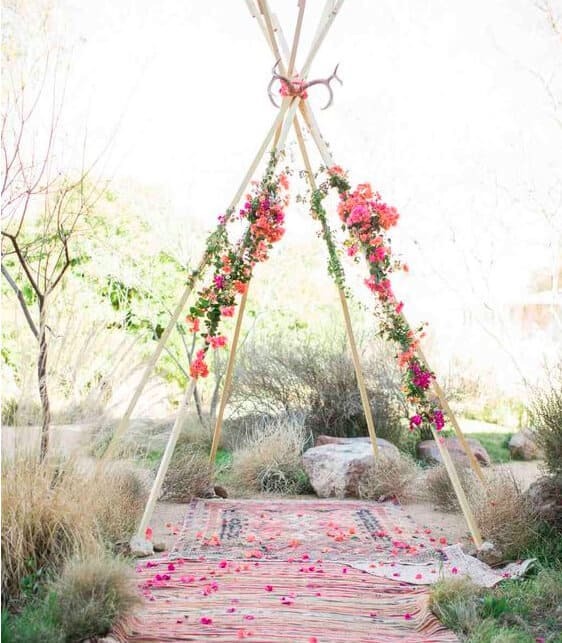 The earlier you plan your boho wedding the better. So that means the earlier you start planning your “super-relaxed and effortless” boho wedding the better. 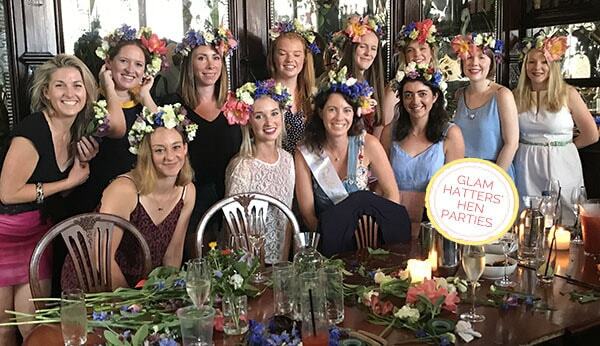 Let’s get ahead of the game by using your hen party to make your flower crown. 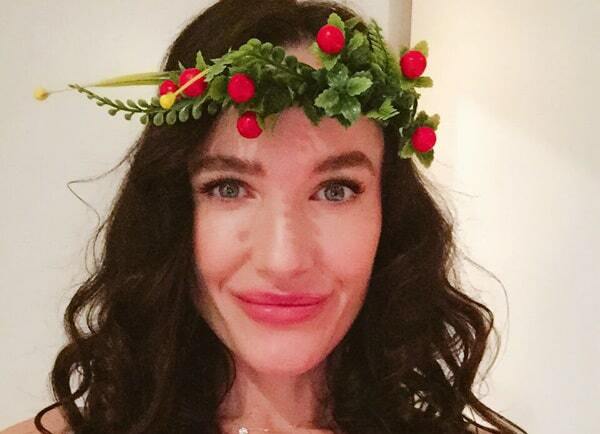 In fact let’s get everyone in on the act and your wedding party can all make their own flower crowns. You then know more or less that everyone is going to fit with your theme and you’ll also get a heads up on what colours they will be wearing. Boho Bride Tip Number 2. 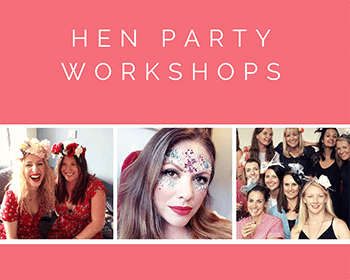 Make your own Flower Crown during your hen party activity. 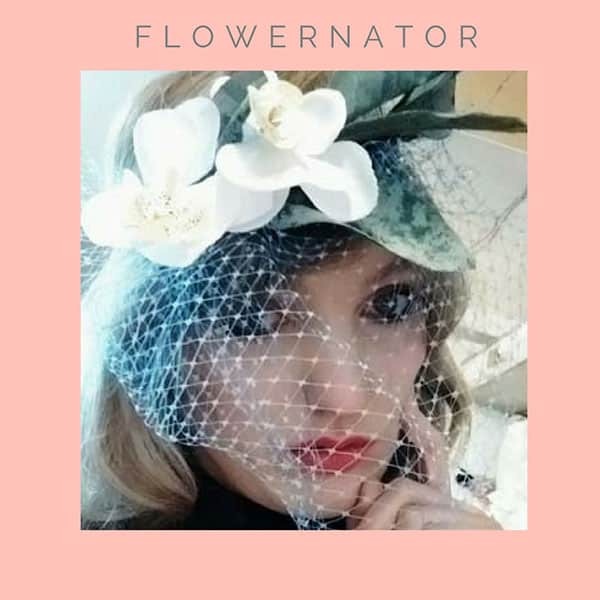 The flower crown above was made at one of our Glam Hatters’ Flower Crown Workshops. Enjoy a lovely afternoon tea plated on vintage china whilst crafting a heavenly boho flower crown. All our flowers are fabric so will last until the wedding. They will actually last forever, providing you don’t end up in the pool/sleep in them/give them away to your new best party friend. 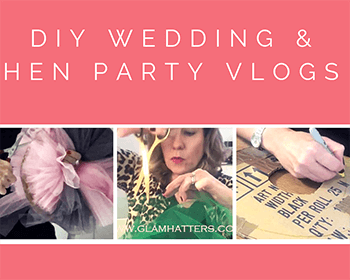 These are all things I’ve done whilst wearing a hat/tiara/flower crown! 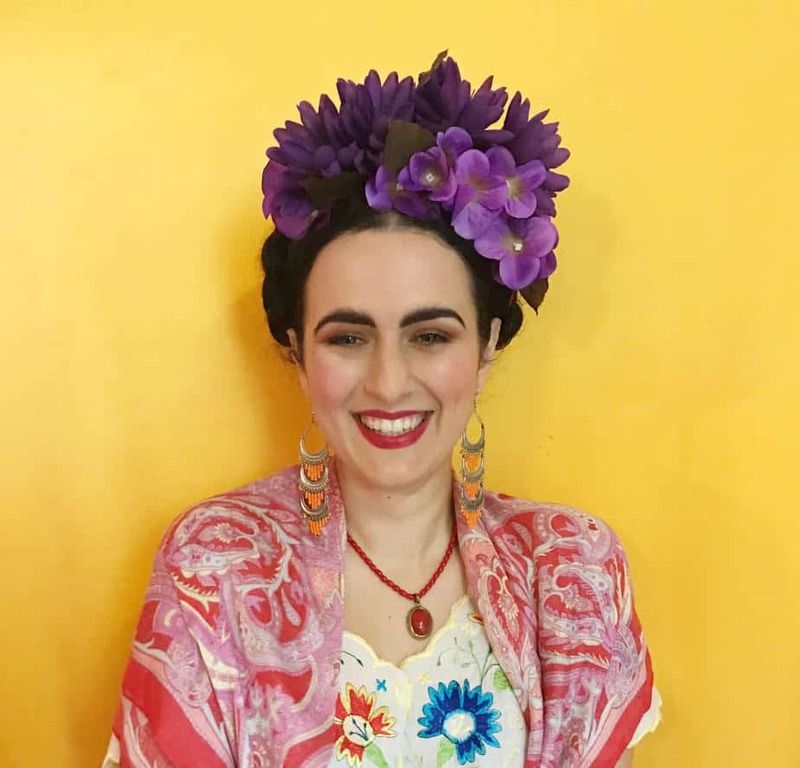 This Glam Hatters’ flower crown is inspired by Frida Kahlo. 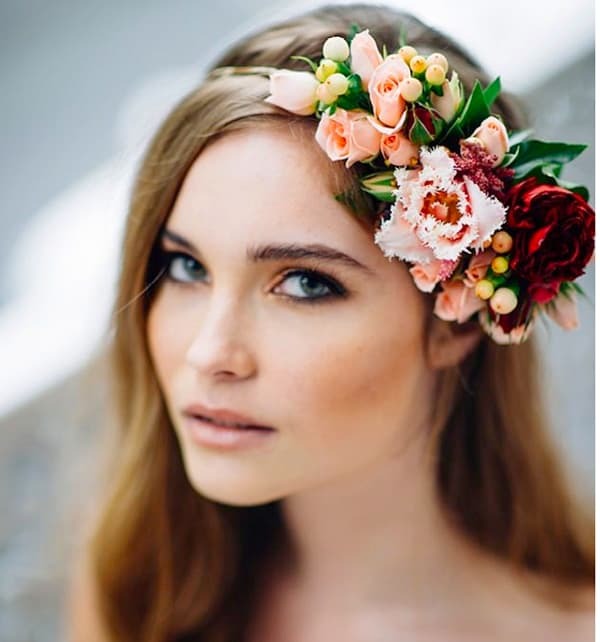 Flower crowns are the perfect thing for a boho bride or to wear to a boho wedding. You can even sport them to the next festival and match them to your wellies! I made the flower crown above for a Frida Kahlo story I recently styled. The flowers were wired onto a sliver band and kept to a central position creating lots of height. Choose from a huge range of colours, go stylish and pretty or big and bold. Create a full flower crown or a half flower crown or wire the flowers on to a silver tiara band. The Glam Hatter Girls will help you step-by-step to create a gorgeous head-piece. Boho Bride Tip Number 3. Fresh Flowers are beautiful but they do wilt! 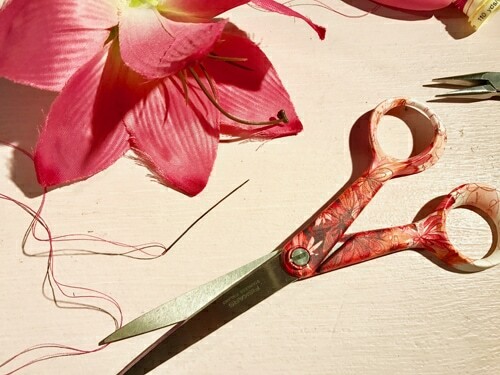 Use them for your posy and avoid them in your hair! Beautiful fresh flower crown. Use this look as inspiration but make with fabric flowers for a look that won’t wilt! I am absolutely in love with flower crowns right now. They are the perfect thing for the boho bride. Most of the flower crowns I see on Pinterest are made with fresh flowers. Much as I love the look of fresh flowers I do worry that by the end of the day they would be a bit wilted/worse for wear. I remember the battering my tiara and crystal hairpins took after I fell asleep in them at the end of my wedding party. They were quite scrunched up but with a little TLC were soon brought back to life. I love this half flower crown look. Super pretty and understated for a boho bride. Not the same for fresh flowers however. No one want to be scraping petals off their pillow the day after their wedding. Now I know this probably says a lot more about me than I should and that most people would take off their hats/tiaras/ hair clips before bed. I happen to be the kind of girl that likes to be the last one standing at a party. I can literally sleep standing up! Taking of my tiara after a party is low down on my list of priorities!! 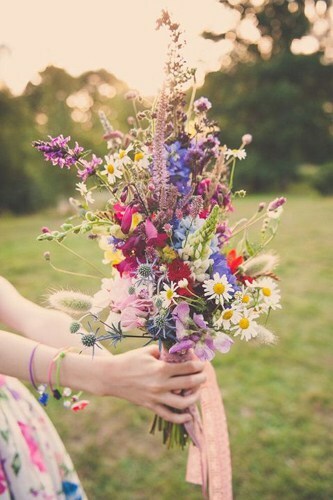 Use your flowers for a breath-taking bouquet and keep them away from your hair! Boho Bride Tip Number 4. Stay happy, feel the love and live the life of a boho bride! Things may get pretty intense during the build up to the wedding. My advice to the boho bride is this, you are making a commitment to the person you love. It is all about you and your partner (no matter what your Mum might have to say about this!) Stay focused on who you are, stay happy, keep your own style. This is one lovely day at the beginning of a lovely life together and it’s a time to spend with your loved ones. Dance, drink (if you want to), laugh with your friends and cherish your family. I wish you love, luck and a little bit of gumption going forward!